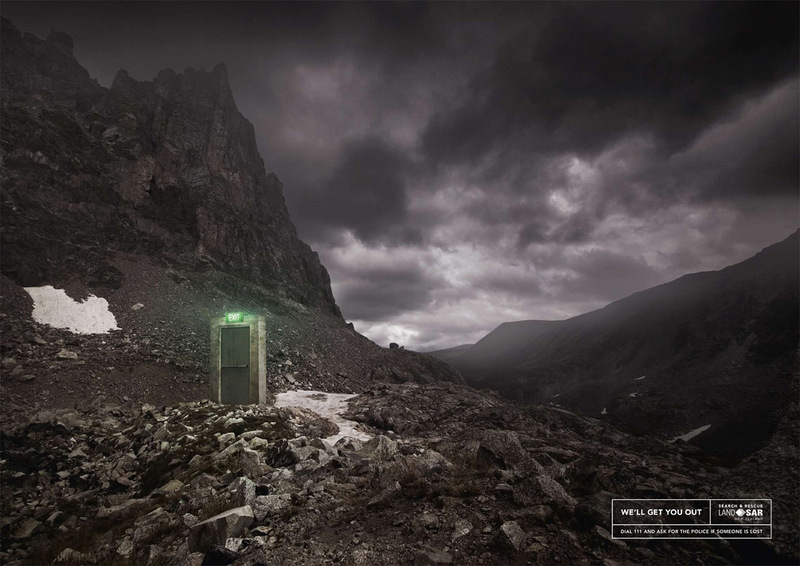 New Zealand Land Search & Rescue (LANDSAR are promoting their services in a series of print advertisements featuring exit doors in remote settings. 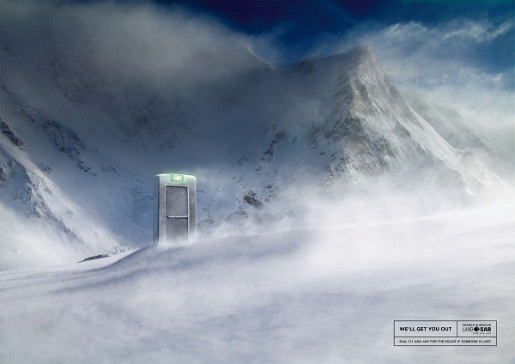 In the mountains, on the snow and in the forest, lost hikers can count on an organisation dedicated to their rescue. 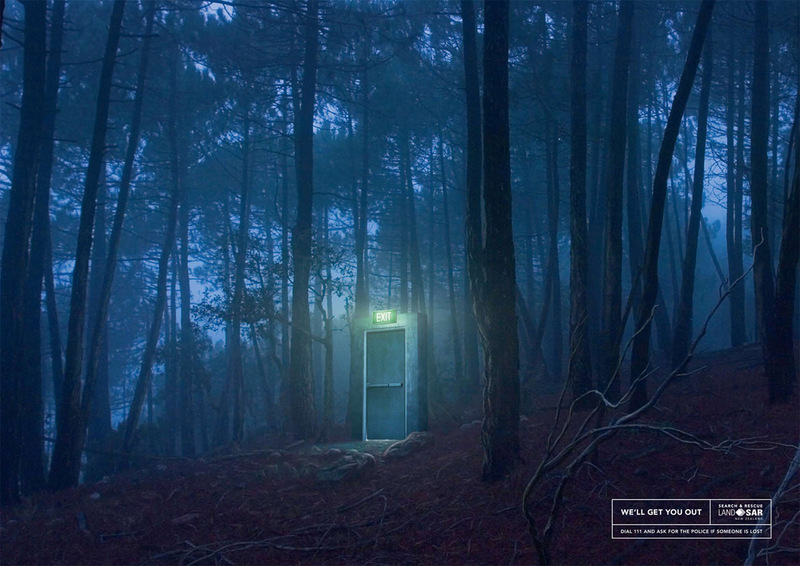 “We’ll get you out”. 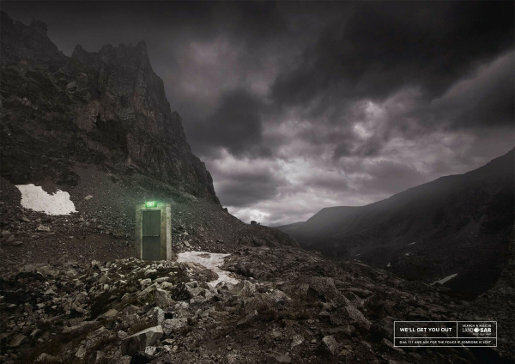 The Exit Door campaign was developed at Colenso BBDO Auckland by executive creative director Nick Worthington, creative director Karl Fleet, art directors/copywriters Steve Hansen and Paul Kim, account manager Kate Smart, planner Hayley Pardoe, agency producer Phil Newman, designer Lachlan Palmer-Hubbard and retoucher Kevin Hyde at Imagecraft.